Our range of these PTFE (Poly Tetra Fluoro Ethylene) Coating on Industrial Components includes different types of automotive components. Our ranges of products are widely used in are used in different industries for various engineering applications. 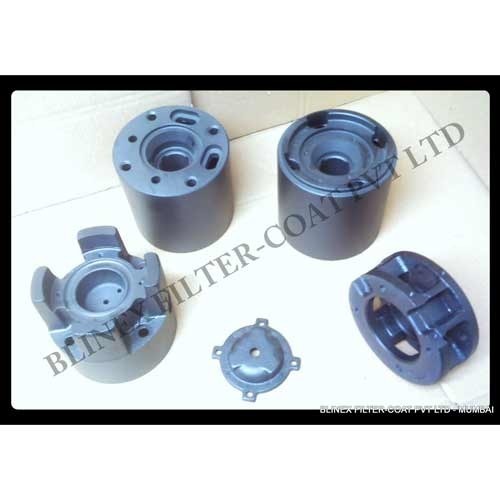 Clients can avail from us these components in different shapes, sizes and specifications. They are fabricated using superior quality machines that are sourced from trust worthy vendors in the market. They are well known for their corrosion resistant, low maintenance and high performance. These PTFE (Poly Tetra Fluoro Ethylene) Coating on Industrial and Automotive Components are used in various industries like transport, chemical, marine, food, medical, automobile and many more for different applications. Our ranges of products have the salient features like high durability, sturdy construction and excellent load bearing capacity. These are appreciated for their easy installation and operation. We supply these in various dimensions and are available at reasonable prices. Looking for “PTFE Coating on Industrial Components”?